Spin and Win has been one of the leading lights in the online casino industry. The company have brought an exciting and fresh approach to how a company should be run and with this they have received high praise from both peers and gaming authorities. The company are actually part of Daub Alderney Ltd, who own a umber of online casino rooms, as we will highlight in the about section below. The Spin and Win casino was first introduced in 2012 by their makes at the Daub Alderney Ltd and now has a player database with ‘tens of thousands’ of customers. The company are actually related to Kitty Bingo, Lucky Pants Bingo and Magical Vegas Casino, who are all part of the group that have been released. Whilst their existence has been relatively short compared to most, the group have been about since 2008, so there is plenty of history and knowledge behind them as they look to move forward. 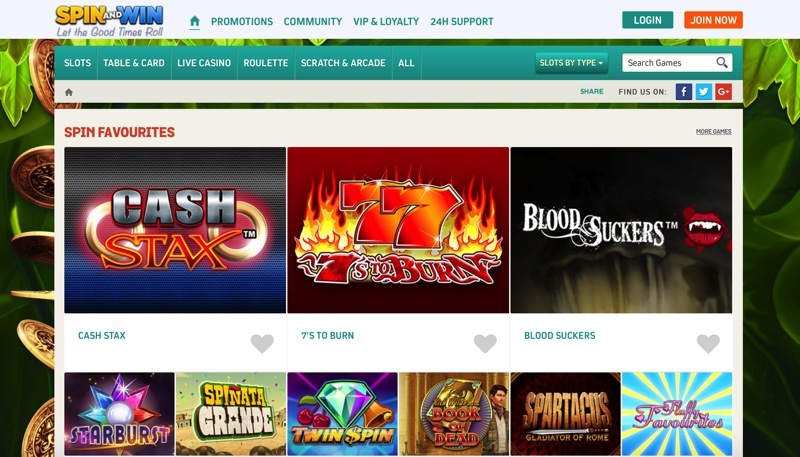 The company have worked as hard on making the best possible mobile format for their online slot as they have in producing a desktop version, which is a sign of the times as much as any. Due to the fact they use multiple software developers the program cant be downloaded, but you can still access the site via any smartphone device, which will in turn forward you on to the mobile friendly version. The company are licensed and regulated by the Alderney Gambling Control Commission and are also based in Alderney. Spin and Win Casino is powered by a host of software providers including Blue Gem Gaming, IGT, NetEnt and Microgaming. The mix of developers means that they have a really good blend of games to choose from with hundreds of slots and dozens of table games all on offer. Some of the highlights for us were the inclusion of Gonzo’s Quest, Starburst and Family Guy, to name but a few.